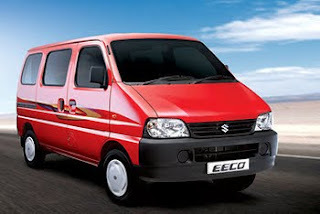 Maruti Suzuki India Ltd launched its multipurpose vehicle Eeco at a price of Rs.2.59 lakh. The Multi purpose Vehicle has been designed especially for Indian roads.which is will sell the seven-seater version of Eeco at 275,000 rupees the company said during Auto Expo at New Delhi recently , where it also showcased an electric version of the vehicle. The Eeco is expected to initially sell 40,000 units annually which one is powered by a 1200cc petrol engine, compliant with Bharat Stage IV emission norms.